BFEF CONGRATULATES OUR NEWEST MEMBER OF THE BFEF TAGGED TROPHY TROUT CLUB. Gary Smith of Prescott, Az. was fishing Bridgeport Reservoir with KHGS when he bagged this 4 pound 3 oz BFEF TTT (#762) while trolling a red & gold TB lure. 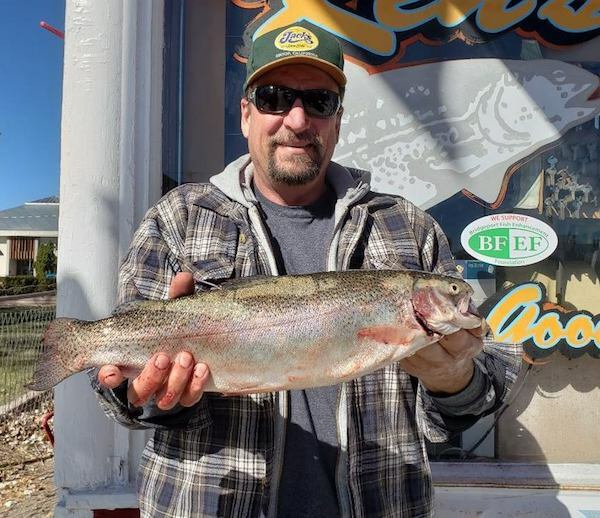 Gary went to Ken's Sporting Goods, got his catch verified, his bragging rights picture and claimed his free entry into a BFEF June Trout Tournament. 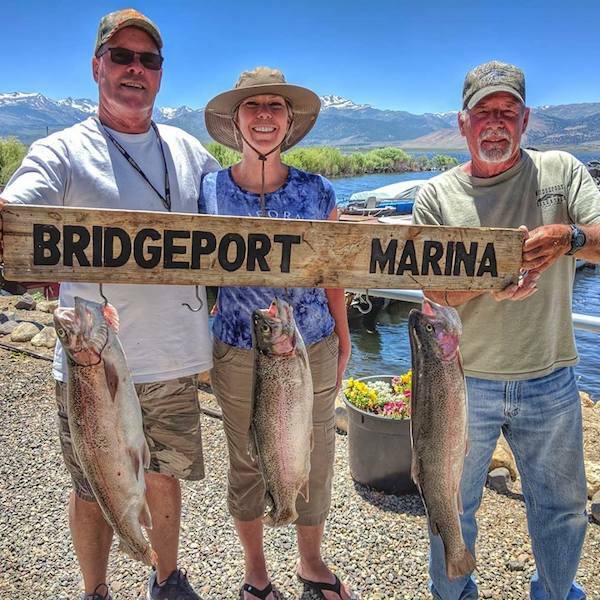 Anglers; there are plenty more BFEF TTT in Bridgeport area waters. Fishing season runs for about another month. 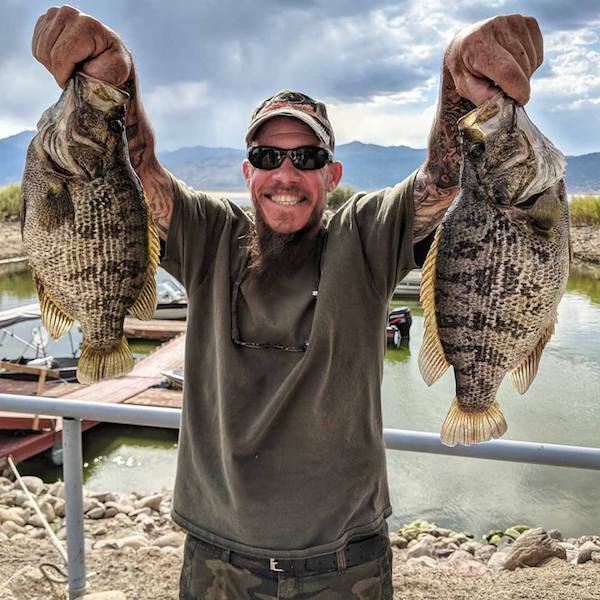 Come fish Bridgeport and try for yours.